Acupuncture is a complementary therapy that involves inserting needles into your skin at defined points to try to help treat health problems and conditions. A complementary therapy may be used together with medical treatment that you might be receiving. Although often described as a means of pain relief, it is in fact used to treat people with a range of illnesses where function is impaired. Its focus is on improving the overall well-being of the patient, rather than the isolated treatment of specific symptoms. 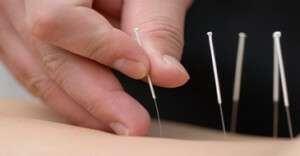 Acupuncture can be used to treat a variety of conditions. There is lots of research which suggests that acupuncture might also be a helpful treatment for low back pain, osteoarthritis, neck pain, tension-type headaches and migraines.